06.03.07 The Orono Department of Parks and Recreation is offering a week-long chess day camp for students in grades 3 and up from August 13 - 17, 2007. The camp will meet from 9:00 a.m - 11:00 a.m. at the Keith Anderson Center, 8 Bennoch Road in Orono. Zening Chen, former Maine Individual High School Champion (2002-2003) and current Stanford University student will serve as the camp's lead instructor. 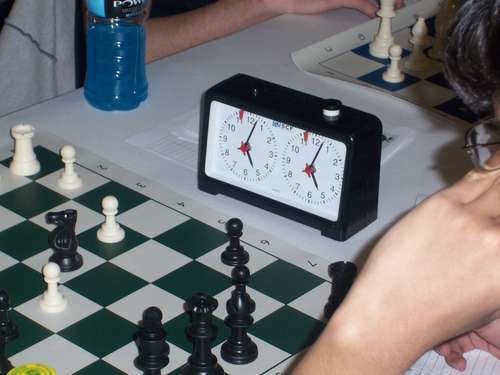 Come out for the Check Mate Chess Camp, August 13- 17, 2007 in Orono, Maine! Players of all levels are welcome for this fun and educational camp. Here is a chance to learn the game or refine your skills. Register early as this always proves to be a popular camp. To register or for more information please call Orono Parks & Recreation at (207) 866-5065.